I like the movie incarnation of The X-Men much more than the comic book version. And I speak as someone who has read and enjoyed the comic book since the 70’s. It’s just that the whole “hated and feared by a world they’ve sworn to protect” thing makes more sense when The X-Men inhabit a world where it’s just humans and mutants. It’s harder to buy when The X-Men exist in a world with a couple of thousand other super beings. Personally, if I lived in The Marvel Universe I’d be more worried about Reed Richards having his own private doorway to a hostile universe in midtown Manhattan than mutants. But that’s just me. In any case, I didn’t have a problem with this rebooting of the movie X-Men universe mainly because it’s well done and doesn’t violate the spirit of the X-Men concept. Particularly the Professor X/Magneto relationship which is the heart of this movie and if we don’t buy their relationship, we’re not going to buy the whole human/mutant conflict. Yeah, there’s some serious tweaking of the traditional X-Men origin done here along with the line-up of original X-Men, the “First Class” of the title but not enough to prohibit my enjoyment of what is a pretty good superhero movie. It’s no “Thor” but it was worth my time and money. In separate storylines we’re introduced to Charles Xavier (James McAvoy) and Erik Lensherr (Michael Fassbender) who are both mutants with extraordinary power. 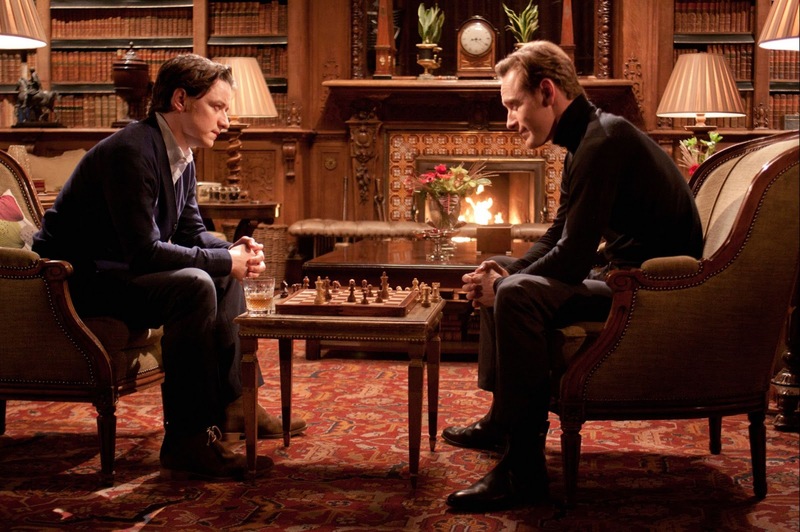 Charles is the most powerful telepath on the planet while Erik can create and manipulate magnetic fields. But while Charles has enjoyed a life of wealth and privilege, Erik has only known terror, pain, sorrow and loss, beginning with the murder of his mother in a World War II concentration camp. Surviving The Holocaust and growing to adulthood still not in full control of his abilities, Erik begins a worldwide hunt for Sebastian Shaw (Kevin Bacon) a mutant himself with energy absorbing powers. In the meantime, Charles is contacted by Moira McTaggert (Rose Byrne), a CIA agent investigating The Hellfire Club which she learns is a mutant organization, led by Shaw and his right hand henchwoman Emma Frost (January Jones). Moira can’t get anybody in the CIA to believe her except for The Man In Black (Oliver Platt) who offers Charles and Moira his facility to find other mutants to combat Shaw. In short order, Charles locates Angel (Zoe Kravitz) Banshee (Caleb Landry Jones) Darwin (Edi Gathegi) and Havok (Lucas Till). Along with the shape shifter Raven (Jennifer Lawrence) Hank McCoy, the supergenius who will soon be known as The Beast and Erik, they form the First Class of X-Men. They move to the Xavier family mansion in Westchester where they live, work and train together to control and hone their powers. And this class has one hell of a final test: prevent World War III as Sebastian Shaw and his Hellfire Club are working behind the scenes to manipulate events to bring about The Cuban Missile Crisis of 1962. Except for her, the other actors are really good, especially James McAvoy and Michael Fassbender who really have great chemistry and make us believe in the friendship between these two men who have such different dreams for their people. Kevin Bacon is dynamite as Sebastian Shaw and there’s something to be said for the fact that even though he’s the bad guy, his point of view is ultimately proved to be the right one. I saw Jennifer Lawrence in “Winter’s Bone” which was one of the most disappointing movies I’ve ever seen but I liked her performance and I like her a lot more here. 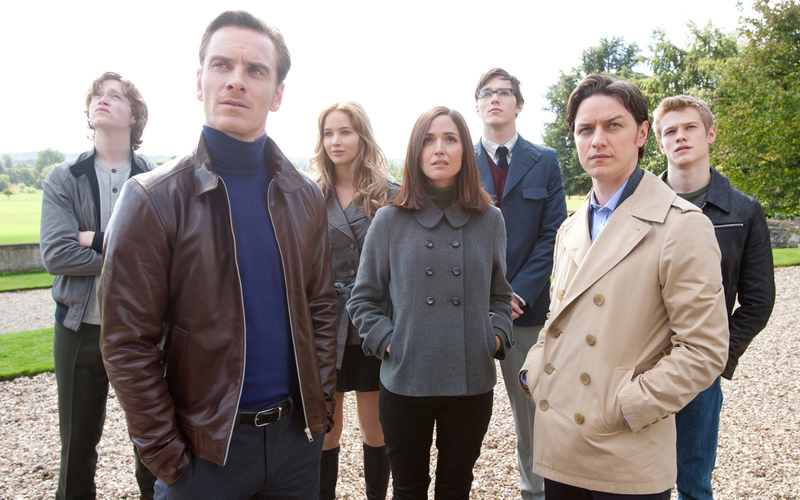 The 1960’s setting is inspired and at times, X-MEN: FIRST CLASS plays like a ‘60’s spy movie with superpowers. But it never fails to entertain. If you’re a dedicated X-fan then the way the continuity of the team has been changed and in some cases downright ignored will no doubt infuriate you to no end. But if you’re willing to relax and enjoy a really well-made superhero movie that is serious without being too dark and filled with solid performances and outstanding action sequences then you’ll most likely enjoy X-MEN: FIRST CLASS. I certainly did. And also that the entire motivation behind Erik turning against humankind is pretty much rendered nil, given that it’s a mutant who orders the death of his family. The continuity problems with the comics (or even the other movies this is supposedly a prequel to) didn’t bother me half as much as Shaw’s ultimate plan. It was the worst logic I’ve ever seen in a superhero film. PreviousNick Fury, Agent of S.H.I.E.L.D.